The UCC runs a variety of different hardware. Not just your old Windows machines, or even the increasingly common GNU/Linux or Mac OS X machines. The UCC likes to run lots of other operating systems and architectures, which are sometimes uncommon or extinct out there in the Real World. The list of machines is currently up to date in the list below. If you want to know about our old machines, see the section Past Machines. To find out how we name our machines, see Nomenclature. Also read about our online Coke machine, online snack machine and online door sensors. Also check out the exciting services these, and our other machines, provide. 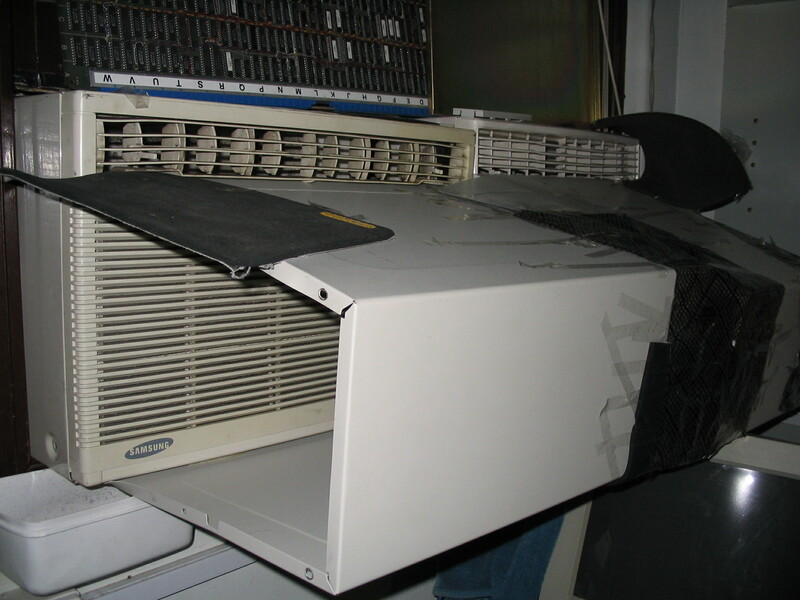 For the curious, here is a photo of our (ex) world class cooling system. From time to time, the servers in the machine room go down and need to be restarted - to do so, there's a particular order that needs to be followed so things bounce back correctly. Murasoi - Core routing / firewall - bring up first if networking is required. Motsugo - Serves the user network home directories - needs to come up early as other things (eg. Mail) depend on it. Has an LDAP replica which avoids other complaints later. Mooneye - Mooneye must come up last - it relies on a number of other services (user home directories, routing etc.) Try and minimise the amount of time it's down - due to the UCC network design, it's the only MX for UCC. Most mailservers will requeue emails if they can't contact mooneye, but some will bounce after as little as a day.